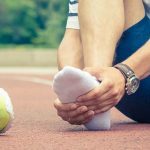 Physical therapists are specifically trained to understand the way each bit of human cartilage, bone and muscle are designed and how to help them work more smoothly to relieve arthritis pain, stiffness and swelling. High quality physical therapy administered by trained professionals helps arthritis sufferers improve muscle strength, increase joint mobility and maintain joint health. To find out more about how physical therapy can help you lessen arthritis pain and increase your mobility, as well as get answers to specific questions about arthritis and the effects it has on the human body, contact Achieve Therapy today. Our goal is to increase your quality of life!